Lisa attended a talk hosted by UWE’s Global Mobility Team, who work with Fijian based charity and Student Volunteer Organisation, Think Pacific. Inspired to gain global experience and make a difference abroad, Lisa applied to join the programme and was accepted onto their summer scheme. The Think Pacific Project is run in partnership with the Fijian Government and supports remote schools in Fiji. The aim is to empower disadvantaged children to overcome poverty issues and achieve holistic health. 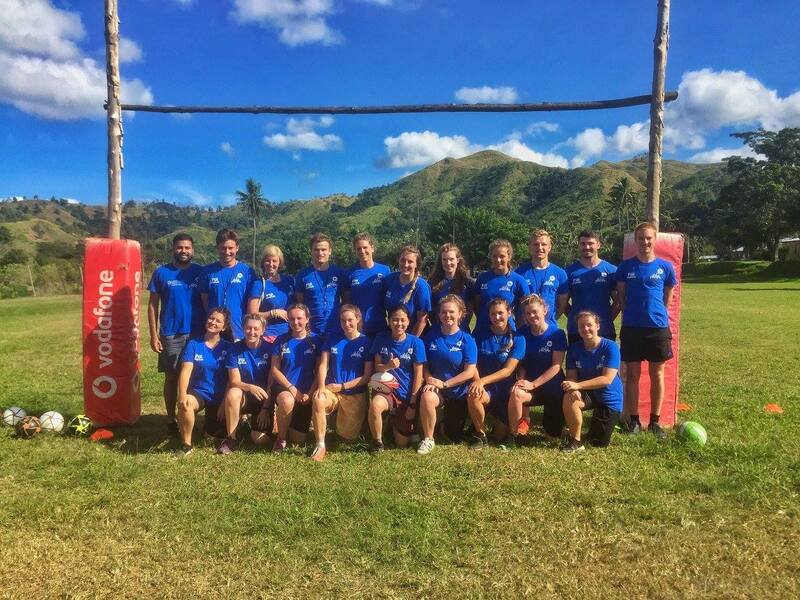 Lisa joined a team of students from across the UK and together they delivered early years’ education support, primary school assistance, daily sports coaching, and basic health promotion, whilst living with local families in a traditional Fijian village. The project also aims to develop the confidence, leadership skills and cultural awareness of university students. 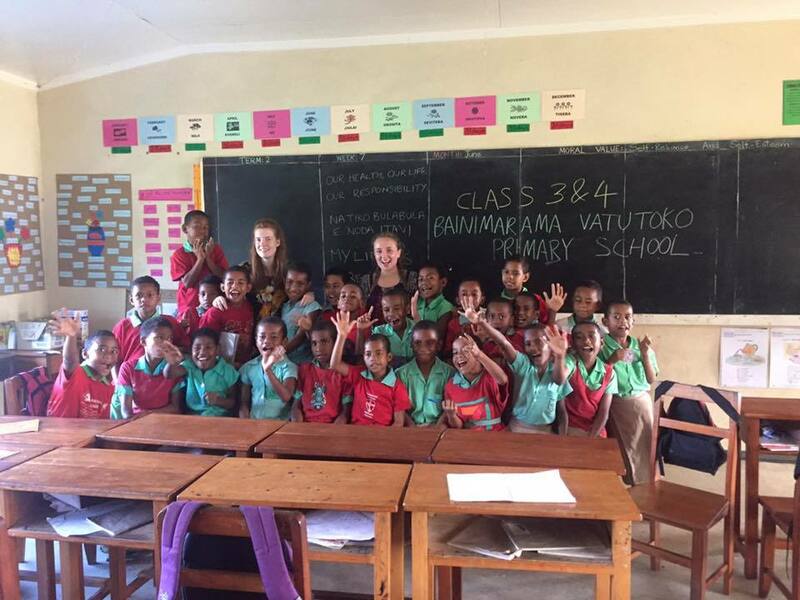 “One day back in November 2016 I came across an event on social media to attend a talk at my uni about a volunteer project in Fiji. At the time I didn't know anything about Fiji, I'd really never left Europe, it was an entirely spontaneous decision to attend. But, I will never look back. It's now July 2017 and I have just spent the last month living in the most warming village, amongst the most positive, smiley, carefree individuals, who have honestly changed my life forever. Being greeted everyday by such motivated high fives, cheesy grins, 'Bula Lisa!' and sometimes even a bag of oranges that they'd climbed a tree to collect for us... in school and around the village, happiness just eats you up. My time in my Fijian home flew by but the memories will last forever, your family take you in as you are their own, their culture is just breathtaking. Everyone appears to be related to each other... one night you might have four of you for dinner but the next night their could be 10 children sat beside you! All doors are open and no one is a stranger. Alongside improving the children's learning by working with them one on one, we also had sports outreach. I didn't know about this before project, but you and your team will travel to another local school to coach a range of sports just for a morning a week. The one memory that will always make me smile, was when the tiniest little boy caught the netball that felt bigger than him and the happiest cheesiest grin appeared on his face. Besides the Monday to Friday school timetable you have so much time to be engrossed in the culture, with treks and adventures on Saturdays truly exploring the area you're living in. We climbed up a waterfall, crawled through a cave and trekked to some hot springs. Everywhere we went locals would climb trees to pick us oranges or carve papayas with their machetes. Their kindness is phenomenal and this is definitely not my last trip to Fiji.